BIO: Born in Cheshire, and schooled in Liverpool, Stephen Jones burst on to the London fashion scene during its explosion of street style in the late seventies. 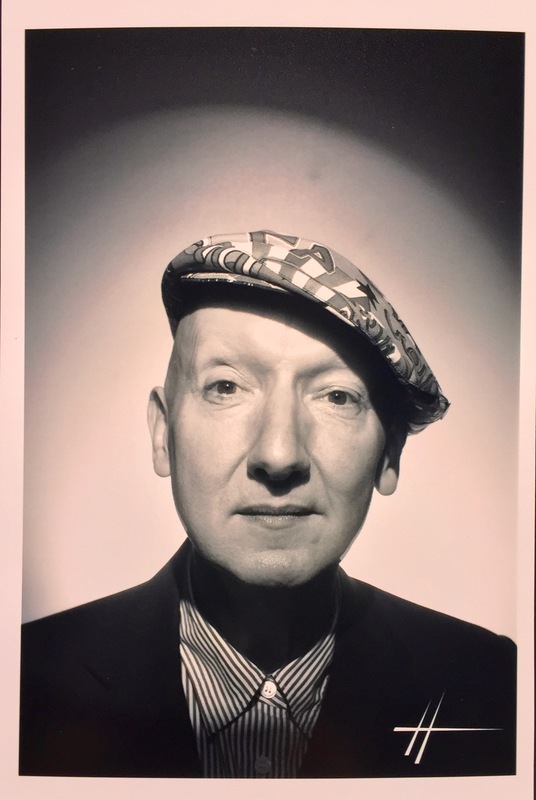 By day, he was a student at St Martins; after dark he was one of that era’s uncompromising style-blazers at the legendary Blitz nightclub – always crowned with a striking hat of his own idiosyncratic design. Fourty years later, Jones’s era-defining edge continues to attract a celebrity clientele which includes, Rihanna, Katy Perry, Mick Jagger, and Royalty. Now, as ever, at the forefront of fashion, his beguiling hats routinely grace the most celebrated magazine covers and enliven window displays of the world’s most stylish stores. From runways to race-courses, from pop-promos to royal garden parties, millinery by Stephen Jones adds the exclamation mark to every fashion statement. CT: Stephen! Great to chat with you. Can you tell me a bit about your business and how you got into designing headpieces? SJ: I was an intern at a couture house called Lachasse and I partially learnt how to make hats there and a lot of it I am self-taught, and when I left collage, I was designing clothes and hats, but everyone was more interested in hats and not clothes. CT: From Thom Browne to La Perla, how do you pick the brands you work with closely and what is the process? SJ: It’s because the brand or the designer has an interesting point of view, and I am interested in the clothes, or whatever they are trying to communicate through clothing and hats, that’s why I work with them. CT: Who were the first designers you collaborated with? SJ: The very first were Jasper Conran and Zandra Rhodes. CT: How long does it take to make your own collection? SJ: I never stop making it. So basically, it takes six months from the original concept and ideas to when we finally show the final samples at London Fashion Week. CT: I loved your Soho inspired collection for AW16, can you give us a hit of what to expect from your latest collection that’s to be previewed at London Fashion Week in September? SJ: This Spring Summer 2017 collection is autobiographical, but it’s about hats and the life cycle of a hat from it’s inspiration, to creation, and then then put into my shop here in Covent Garden, the Salon and then the final part of a hats journey which is when it is worn by the client. CT: What truly inspires you? SJ: Anything that changes my mind. CT: You’ve had many great people wearing your headwear but if you could pick one person to wear your millinery, who would it be and why? SJ: Tutankhamun, because he was fairly extreme. CT: What is next for Stephen Jones? SJ: We’ve got a whole lot of Exhibitions coming up next year, hopefully working on a new fragrance with Comme des Garcons, continuing working with designer collaborations around the world, opening a small store within Dover Street Market LA and of course, our next Autumn Winter 2018 collection. CT: Words of advice to budding milliners? SJ: It ain’t easy, but it’s an amazing journey. This entry was posted in Interviews and tagged Comme des Garçons, Covent Garden, Dover Street Market, Interview, Jasper Conran, LFW, Milliner, Stephen Jones. Bookmark the permalink.